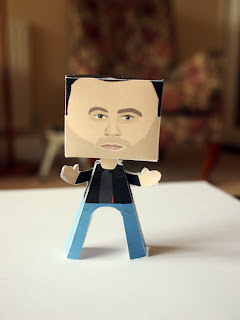 This paper people is Joe Rogan, papercraft is created by sally. Joseph James “Joe” Rogan is an American martial artist, stand-up comedian, actor, writer and color commentator. He is best known for playing Joe Garrelli on the NBC sitcom NewsRadio, commentating for the Ultimate Fighting Championship, hosting the NBC reality show Fear Factor and The Joe Rogan Experience podcast.